IT’S unfair that society wants to judge women differently from men, complains UPND Chilanga by-election candidate Charmaine Musonda. And Musonda says she met Keith Mukata, his boyfriend who is in prison for murder, when he was single and that she has wrecked no one’s home. The UPND has adopted Musonda as its candidate in the June 5 parliamentary by-election following the jailing of Mukata, who held the seat. She was jointly charged with Mukata for the murder of the latter’s security guard at his law firm but the court found her not guilty and acquitted her accordingly. Mukata was, however, sentenced to death but he has appealed both the conviction and sentencing. Following her adoption, several people, including UPND followers, have cast aspersions on her persona and criticised the opposition party for the decision, calling her “a home wrecker”. Others have said the murder case in which she was embroiled was too fresh and suggested that she takes leave from the limelight. But Musonda has told The Mast that the “Mukata’s concubine” tag had not affected her because society would always talk even about things they did not understand. She said when she met Mukata, she knew he was not married and wondered why society was judging her now that she was vying for public office of member of parliament. Musonda said it was not the first time she was vying for public office, having stood as council chairperson for Chilanga in 2016. “The concubine issue really doesn’t affect me; society will always talk about things they don’t even know. I have grown up knowing that no matter what you do in life, good or bad, people will always talk. Everybody makes mistakes and we learn from these mistakes. I am a young woman, I am not married and yes -different men will come and approach and ask for a hand in marriage; I am an adult and I don’t think in this situation we should focus on who I have or not haven’t slept with,” Musonda said. She wondered why society was judging her when people of Chilanga had chosen her as the best person to represent them. 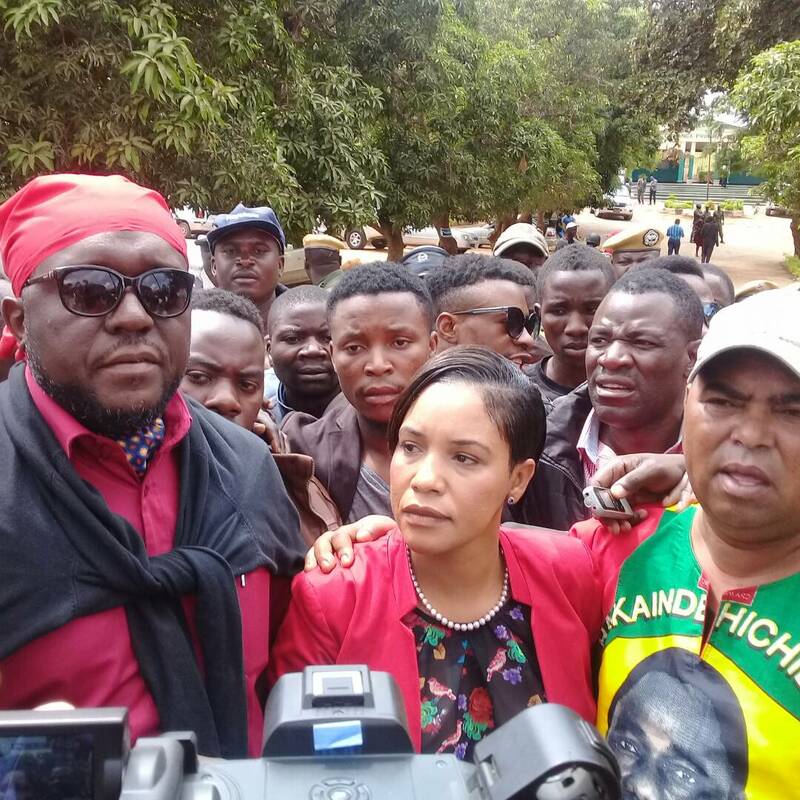 Musonda vowed not to be distracted by those throwing scorn at her now that she had chosen to offer herself for leadership of the people of Chilanga. She urged the people to focus on her positives than mudslinging “just because I’m a woman”. She said in 2016, she attempted to contest elections as council chairperson for Chilanga and actually came out first in primaries but the party did not adopt her. Musonda said she was a loyal member of her party. Musonda said with all that was being said about her candidature, Chilanga residents had not been affected because they knew her from childhood. She complained about today’s smear politics that drove people from real issues affecting the country. “Unfortunately, the politics of today is more about character assassination. I would like to see that we refrain from character assassination and tell the people what we are going to do for them. Let’s not focus on calling each other names as it’s not going to develop our nation,” Musonda advised. She further said she had not betrayed Mukata by contesting the Chilanga seat where he was member of parliament because it was declared vacant. “Prison is not a good place to be; you are closed up and the only information you have about what is going on in the outside world is what the few people who come to visit you tell you. It is, I must say, a very difficult time for him and people are going to feed him with all sorts of stories, including the fact that I have betrayed him. I honestly do not think that it’s a betrayal, I stayed in prison for ten months. Because I am principled and I am loyal, the Chilanga seat was declared vacant, it has nothing to do with the fact that I once had an affair with him, this seat was not personal-to-holder and was open to anyone who wanted to vie for office regardless of whether it’s Keith’s brother, it’s his sister or former girlfriend. This has nothing to do with betrayal of the relationship I had with him, this [politics] is something he met me doing. I worked with him very well in 2016 and we delivered the seat of Chilanga, so there should be no bitterness because this is not something I am taking from anyone,” said Musonda.